The Humble Intercontinental Chapter of Top Teens of America celebrated their 33rd Annual Blue and Silver Ball Saturday night, November 17, 2018, at The Power Center. The enchanted evening of elegance was designed to acknowledge the accomplishments of graduating seniors as well as the commitment and dedication of all HIC Top Teens. The theme for the event was “Red Carpet Ready.” All HIC Top Teens stylishly walked the Red Carpet. The ROTC Color Guard from Phillis Wheatley High School was under the supervision of Major Eric Potts. Former Miss Top Teen 2nd Runner-Up Chelsea Rae Jones choreographed dances for HIC teens, accentuating the ambiance of the evening. The traditional waltz performed to “A Thousand Years” by Christina Perri put the icing on the cake. Not only were parents on the verge of tears, but Humble Top Ladies were in a state of total bliss. 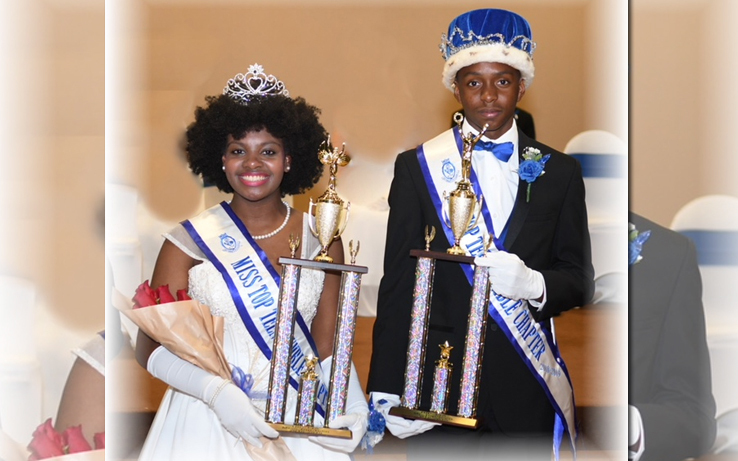 During the momentous celebration, the reigning “Mister and Miss Top Teen” were crowned by the 2017-2018 Mister and Miss Top Teen, Cameron Demerson and Imani Moshay. The 2018-2019 reigning “Mister and Miss Top Teen” are Matthias Petterway, TTA President and Area l 2nd Vice President and Reygan Jones, TTA Chaplain. Included in the Royal Court are the 1st Runner-Ups, Teen Jeylan Jones, and Teen Baile’ Lewis. Blue and Silver Ball 2018-2019 Participants were: Teen Charles Victor, Teen Kevionne Lemons, Mentoring Chair; Teen Sheree Menephee, TTA Corresponding Secretary; Teen Matthias Petterway, Teen Reygan Jones, Teen Jeylan Jones, Teen Baile’ Lewis, Teen Joshua Sam, National TTA Chaplain and Teen Kelsey Cadien. Top Teens are the number one program thrust for the Humble Intercontinental Chapter of Top Ladies of Distinction, Inc. HIC-TLOD President and Area l Literacy, Lady Barbara Smith. Chairpersons for this memorable occasion were Lady Sherrell Simmons-Corresponding Secretary, St. Jude Chair and Lady Sylvia Jones-2nd Vice President and Scholarship Chair. The following members assisted with the Blue and Silver Ball: Lady Valerie Butler-Harris, Lady Tawana Cadien, Mistress of Ceremony; Lady Errica Dotson-Hooper, Judge; Lady Barbara Fields, Assistant TTA Advisor; Lady Melba Hogan, Lady Dorothy Jackson, Lady Joyce Jacquet, Director of Operations National Partnership Chair; Lady Keysha Johnson, Literacy Chair; Lady Pamela Johnson, Financial Secretary; Lady Charlyn Kyle, Chaplain; Lady Sheila Maddox, TTA Advisor and Area l Music Chair; Lady Artis Petterway, NAACP; Lady Claire Pope, Editor of the Crown; Lady Rosa Rush, Courtesy; Lady Tameya Sam, Recording Secretary; Lady Rhonda Skillern-Jones, Lady Shwanda Warner, Sickle Cell; Lady Mary Washington, Treasurer. A special thank you goes out to the Judges who assisted in the talent portion of the ball, Lady Errica Dotson-Hooper and Wanda Johnson-Marshall. Top Teens are sponsored by Top Ladies of Distinction in cultural and civic activities, volunteer service projects and other worthwhile community endeavors. Projects include: Star of Hope Partnership, Status of Women, Sister’s Network Dress for Success Houston, Lady Cherise Story, Chair; Beautification-Adopt-a-Block, Lady DeBlanc, City of Houston; Grandparents Day, Angels of Love-Senior Citizens, Lady Kathy Mosby, Chair; NAACP Toy Drive, UNCF Walk, NCNW, Sickle Cell at Texas Children’s Hospital, Bowling Against Bullying-Mentoring programs, TLOD Literacy-School Supply Drive, Lady K. Johnson; March of Dimes Healthy Choices, Lady E. White, Chair; and St. Jude Walk. 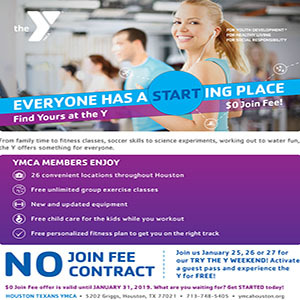 The teens devote a considerable amount of time volunteering in many Houston community service initiatives. They are encouraged to dream big, plan and execute their plans. Our teens are some of the brightest in the city with exceptional talent, gifts, and abilities. We celebrate and honor our 2019 graduating seniors and chapter members for outstanding community service accomplishments.